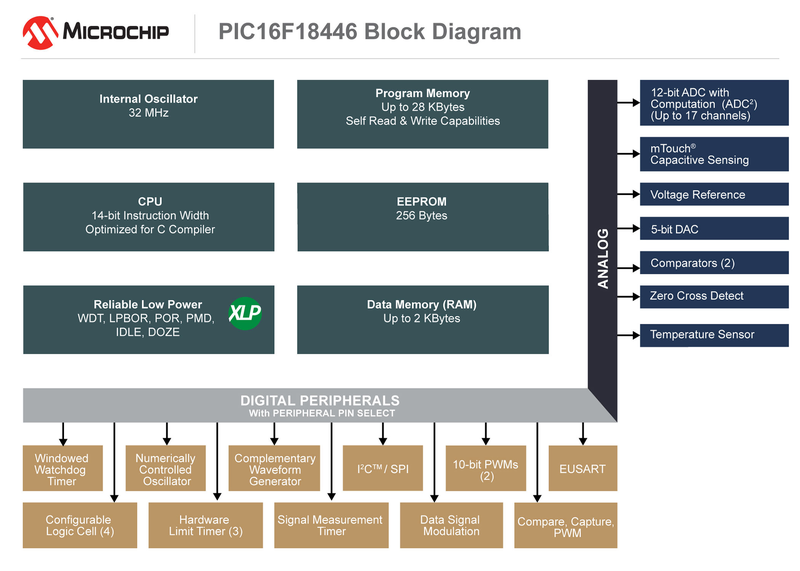 Microchip announced several PIC and AVR microcontrollers with “Core Independent Peripherals and Intelligent Analog” in February with respectively PIC16F18446 family of microcontrollers, and ATmega4809 megaAVR microcontrollers, with the latter to be integrated in the next generation of Arduino boards. The company is now organizing a promotion for their PIC16F184xx product family where they give away a PIC16F18446 MPLAB Xpress evaluation board! The MCU family is supported by MPLAB Code Configurator (MCC), a free software plug-in that provides a graphical interface to configure peripherals and part of MPLAB X IDE and the cloud-based MPLAB Xpress IDE. For a quick look at the latter, you could read my hands-on experience in Getting Started with MPLAB Xpress Board and Online IDE. nEDBG embedded debugger – Programming, Virtual COM port (CDC), and green board status LED. Further information about the board can be found on the product page, and you can apply with a free sample here. No open source toolchain, no thank you. What, it’s the same enhanced mid-range PIC we’ve come to know and love, right down to the 128-word program memory banks and the PCLATH kludge. sdcc should work just fine. As for flash programming, the spec is open, so the FOSS guys should be on it sooner or later. I’m still carrying the emotional scars of working with these processors 15 years ago. I could never figure out how a vendor could call their architecture “compiler-friendly” when they have an extremely limited hardware stack and a lot of operations are only possible using The One Working Register. Now I’m flabbergasted that anyone would still be using them. What possible reason could there be? Maybe are you too young to understand where the computers come from ? 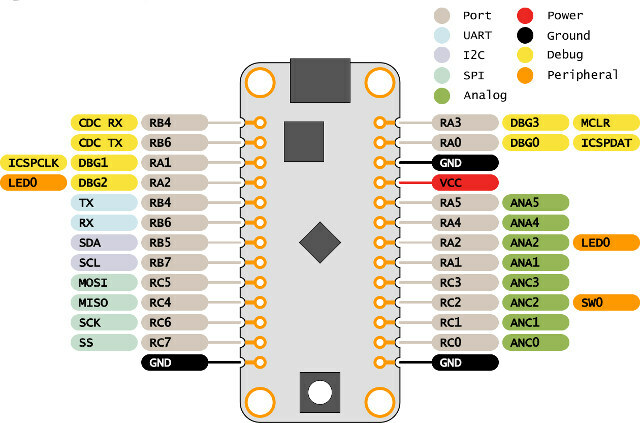 Did you ever tried to program a 8086, 6502, 6800 or Z-80 ? Hey, @zoobab do you happen to know open source toolchain alternative to this thingy (and the bus pirate) ?